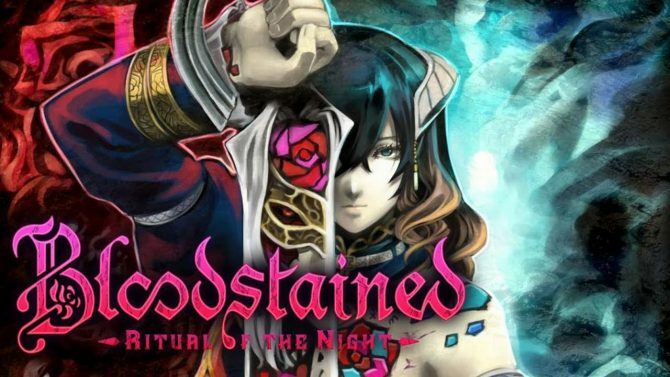 Bloodstained: Ritual of the Night continues to seem solid, but at this point, I'm just ready to play the final product. Of all the games I got to check out at PAX East a couple of weeks back, Bloodstained: Ritual of the Night was easily the title I was most looking forward to playing. Having already tried it out a few years back at E3 2017, I was curious to see how development on the long-awaited Kickstarter project had progressed. While the resulting demo I played didn’t blow my pants off, Bloodstained seems to be turning out about like I hoped it would, which is definitely a good thing. What I played of Ritual of the Night at PAX was a 30-minute stretch in an area of the game known as The Tower of the Twin Dragons. This section of the map most notably contained a large, spiraling tower that you could circle about and climb up while defeating enemies along the way. There were also plenty of hidden collectibles and other items spread across this location that you could try to pick up along the way. Honestly, what I played in this stretch of Bloodstained didn’t feel overly thrilling, but it at least gave me a good idea of what I think I can expect from the final product. I was able to put combat and traversal through their paces here more than in past demos of the game I’ve played and I continue to think that both aspects feel good. 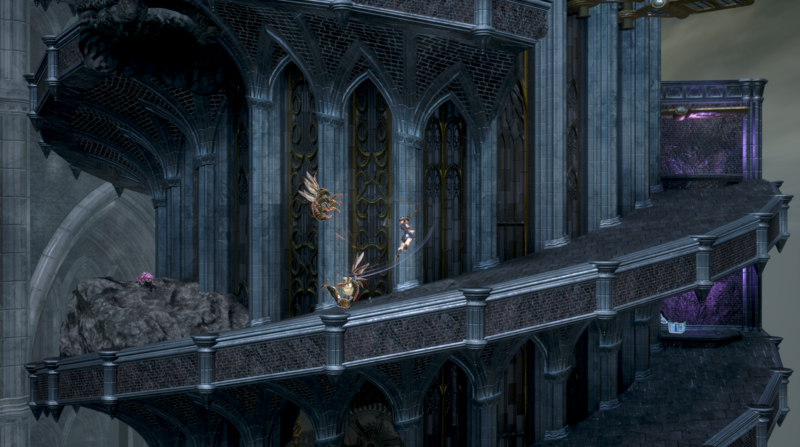 While I know there was some concern from fans that the transition to the 2.5D style of graphics wouldn’t make it feel like old-school Castlevania titles, I don’t think anything has been lost on the gameplay front. And while it’s hard to judge despite only being able to see one sliver of what Bloodstained: Ritual of the Night has to offer, the level design seems solid. Not only is the spiral tower a cool idea visually, but I think the way in which it connected to the larger castle you’re exploring was pretty nifty. Honestly though, demoing a Metroidvania (or Igavania) like Bloodstained: Ritual of the Night is a bit awkward. Being randomly dropped into only one section of the game’s vast world only gives you such a small idea of what the whole game will be like in terms of design. Still, it definitely gave me those Castlevania vibes that it’s clearly trying to elicit. 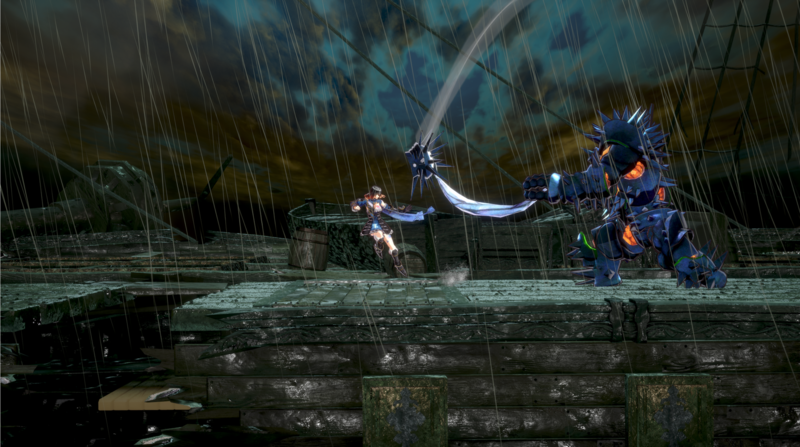 There were a few other ancillary aspects of Bloodstained that I was also able to toy around with in this session that I haven’t seen previously. Mainly, the changing of Miriam’s outfits and adjusting other items in your inventory was available in this demo and I toyed around with each just a bit. 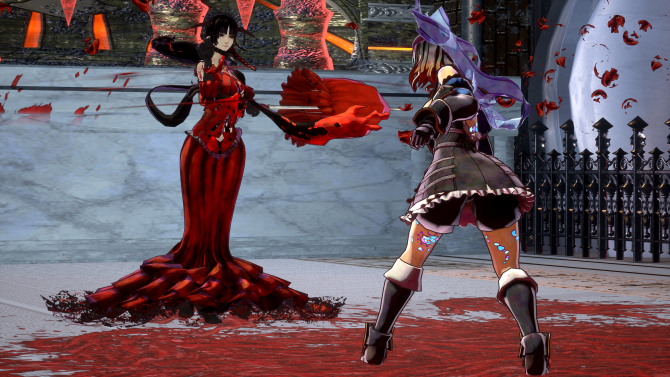 I really like that you can alter Miriam’s appearance because I think it gives Bloodstained a bit more flavor. There are also a lot of variations of weapons which seem to be suited for different situations or playstyles. It’s nothing revolutionary, but being able to play how you want is very welcome. 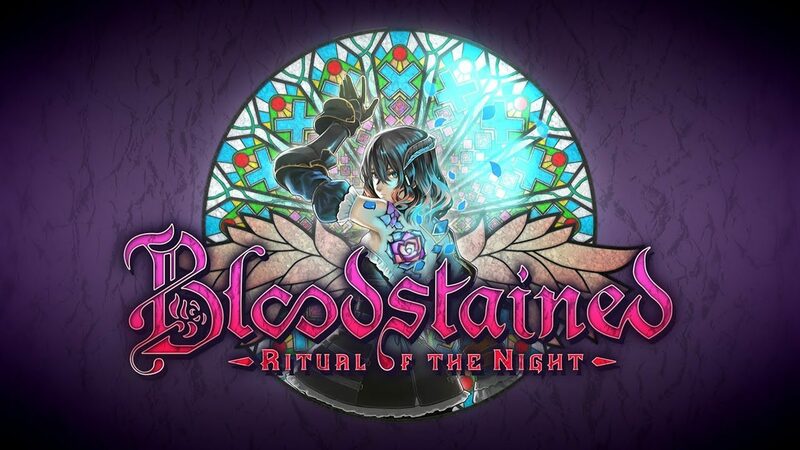 If there’s one aspect of this Bloodstained: Ritual of the Night demo that did jump out to me drastically, it was the music. Michiru Yamane, the composer of Castlevania: Symphony of the Night, is also the composer on Ritual of the Night and what I’ve heard of the soundtrack so far is stellar. Symphony of the Night is one of my favorite gaming soundtracks of all time and my anticipation for Bloodstained has honestly grown drastically just from listening to what it will have to offer from Yamane. Maybe it’s just my own personal taste, but I really do think a great soundtrack can be the final element of a game that really ties everything together. This seems like it could be the case here with Ritual of the Night. I still feel like I haven’t seen much of Bloodstained: Ritual of the Night in the grand scheme of things, but I think it’s safe at this point to be excited about it. With the hit-or-miss track record of some past Kickstarter-funded titles, I was a bit concerned that Bloodstained might fall into that latter “miss” category, but I don’t believe this will be the case. Koji Igarashi and company seem to be giving fans precisely what they’ve wanted from this latest Metroidvania title. At this point, I’m just looking forward to getting my hands on the finished game. 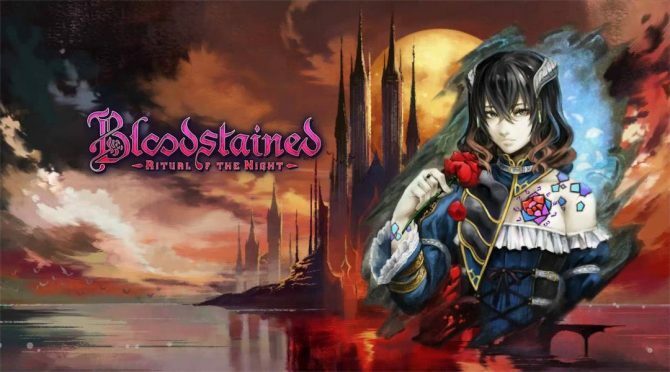 Bloodstained: Ritual of the Night is set to launch this summer on PS4, Xbox One, Switch, and PC. 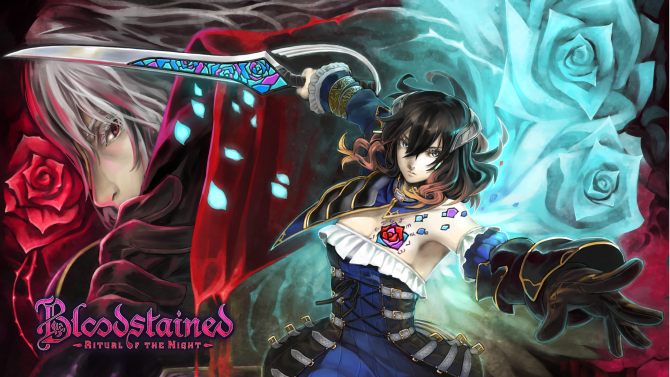 Bloodstained: Ritual of the Night will not be coming to Linux and Mac PCs as announced in a Kickstarter update from developer Koji Igarashi.